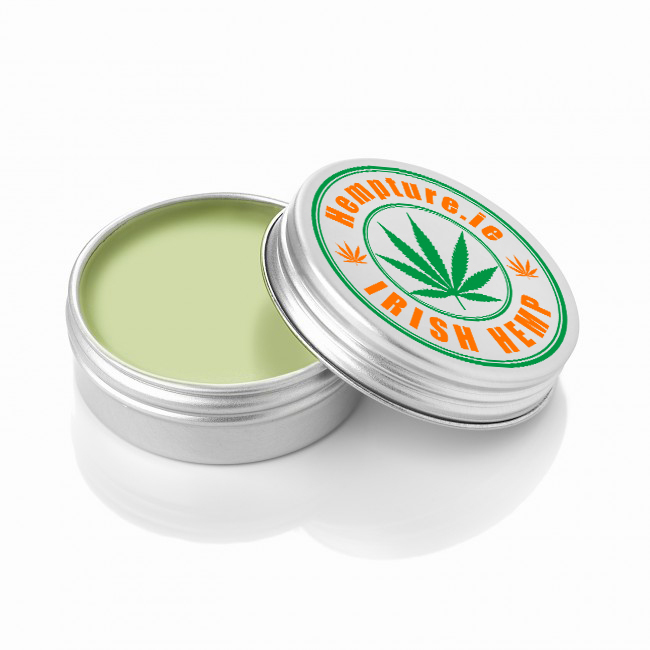 Oct 2015 – New shipping our new batch of Irish Hemp CBD Lip Balm. MAKING HISTORY – Irelands 1st ever Irish Grown Hemp & CBD Lip balm. Hempture Hemp CBD Lip balm has been carefully handmade with love in small batches in Ireland using organically grow Irish Hemp. It contains all raw natural ingredients including the main ingredient – Hemp Oil from the plant itself. This has been extracted from the plant material itself NOT from the seeds. This is the very first product we have brought to market in Ireland and we hope it to be the first of many. The Hemp balm has a very light green colour and may vary between batches. Our Hemp lip balm should NOT be confused with other Lip balms such as Petroleum Jelly or Vaseline for example. Petroleum jelly can create the illusion of moisturized, hydrated skin, all the while suffocating your pores. It’s water-repellant and not water-soluble, meaning it merely seals the barrier so that moisture does not leave the skin. Petroleum jelly, the main ingredient in Vaseline, is a derivative of oil refining. Originally found coating the bottom of oil rigs in the mid-1800s.